Decorate your fingers with the statement rings from Aphrodite. Available in different colors and shapes. 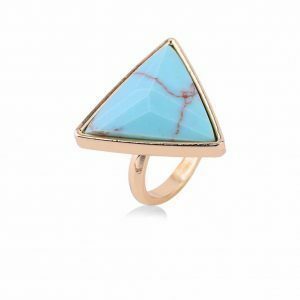 The perfect statement ring for the boho chick! This nice ring has a big blue stone. Mix and match it with other beautiful rings for a ring party. Complete your look with other silver jewelry. For example with a long necklace or with nice boho stud earrings. Adorn your fingers with our statement rings in a range of eye-catching designs. If you’re on the hunt for a quirky design, an edgy sort of thing, or something classic to build your base wardrobe, it’s all here. Available in singles and multipacks, we have the perfect finger bling for you to update your jewellery collection. A nice big statement ring ensures that your outfit gets an upgrade! This gold ring has a beautiful blue marble stone. Wear this stylish ring with a blue marble cuff bracelet or a nice necklace in layers to complete your look. ???? 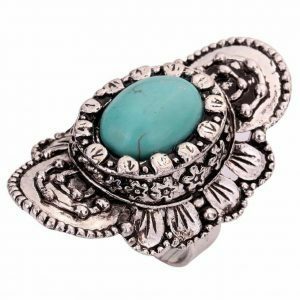 Decorate your fingers with this big bohemian style ring. 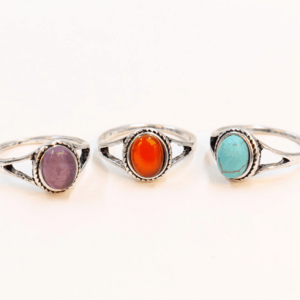 The statement ring has a flower design and in the middle is a blue stone. Combine it along with other boho style jewelry. For example with a beautiful boho necklace or nice boho bracelet. Do you have questions about the boho statement ring? Send us a message. “Do not let someone else catch your dreams. You be the dream catcher. “This nice ring has a dream catcher shape. Mix and match it with other lovely rings for a ring party. Combine it with silver or gold jewelry. Wear the ring together with our dreamcatcher bracelet and / or necklace. You can choose from the colors gold or silver. Combine it with a nice summer dress and you’re ready to go! As seen in the Girlz Magazine! 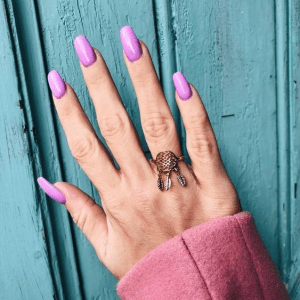 Do you have questions about the nice dreamcatcher ring? Send us a message. Decorate your finger with this beauty. 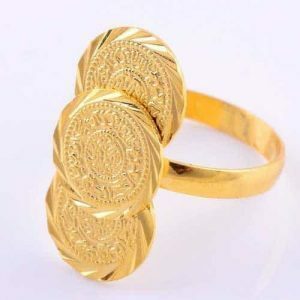 There are 3 elegant coins on this stylish gold ring. At this moment the jewelry with coins are very trendy! Combine this statement ring with minimalist rings. Wear this ring with a nice coin choker. Or with layered necklace with coins. Do you have questions about the gold coin ring? Send us a message. Decorate your fingers with this must have statement ring. This beautiful ring has a shell design. Finish your look with other nice silver jewelry. For example with a stylish long necklace or choker. Do you have questions about the statement ring with shell design? Send us a message. 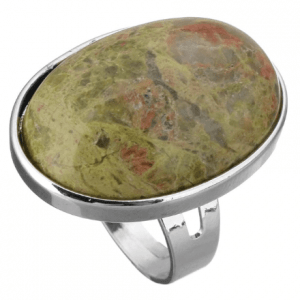 This cute statement ring has a beautiful green natural stone. Mix and match it with other fun rings for a ring party. Combine it with other silver jewelry. For example with a nice long necklace or with nice earrings. Do you have questions about this statement ring with green natural stone? Send us a message. 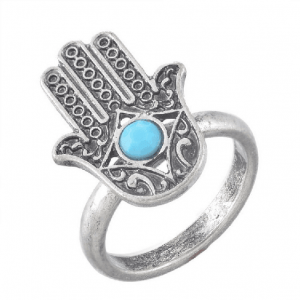 Decorate your finger with this stylish hamsa hand ring. In the middle of the ring there is a small light blue stone. The hamsa hand is also called the fatima hand. Some people think it will protect against evil. Wear this beautiful ring with other nice jewelry. For example with hamsa hand bracelets or a nice short necklace. 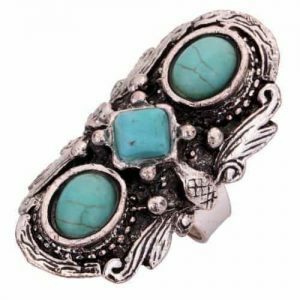 Do you have questions about the silver hamsa hand ring? Send us a message. Decorate your fingers with this beautiful statement ring. You can choose from three different beautiful colors. Mix and match it with other beautiful rings for a ring party. Combine it with other silver jewelry. For example with a nice long necklace or with a stylish bracelet. Do you have questions about the statement ring with natural stone? Send us a message. We are obsessed with jewelry! This statement ring has a beautiful pink natural stone. Mix and match it with other lovely rings for a ring party. Combine it with other silver jewelry. For example with nice hoop earrings or a beautiful minimalist necklace. 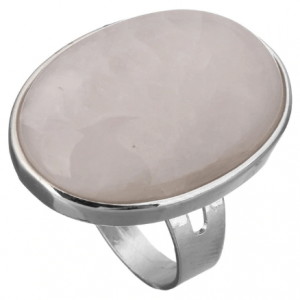 Do you have questions about silver ring with pink natural stone? Send us a message. 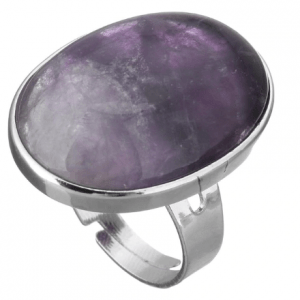 This statement ring has a beautiful purple natural stone. Mix and match it with other lovely rings for a ring party. Wear it together with silver jewelry. For example with a nice long necklace or with a stylish bracelet. 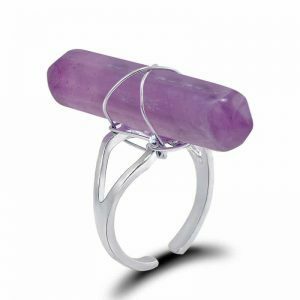 Do you have questions about this statement ring with purple natural stone? Send us a message. 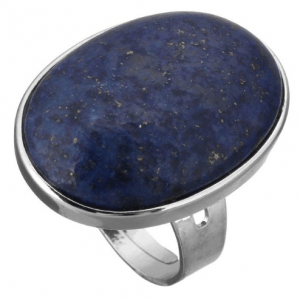 This beautiful big statement ring has a blue natural stone. Mix and match it with other beautiful rings for a ring party! Combine it with silver jewelry. For example with a nice long necklace with nice stud earrings. Do you have questions about this statement ring with blue natural stone? Send us a message. This cool ring has an open design with an arrow design on both sides. Mix and match it with other cool rings for a ring party. Finish your look with other silver or gold jewelry. For example with a nice long necklace or with stylish studs earrings. Give your outfit a cool touch! Do you have questions about the nice arrow ring? Send us a message. 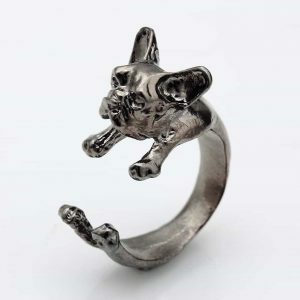 This stylish gray ring has a dog design. Mix and match it with other lovely rings for a ring party. Combine it with other silver jewelry. For example with a nice layered necklace with a beautiful bracelet. The perfect jewel for the animal lover! Do you have questions about the Ring with dog design? Send us a message. Decorate your fingers with this statement ring. This large ring has a blue stone. Mix and match it with other lovely rings. Combine this beautiful ring with a layered necklace or a stylish bracelet. With this statement ring your most basic outfit gets a boost. 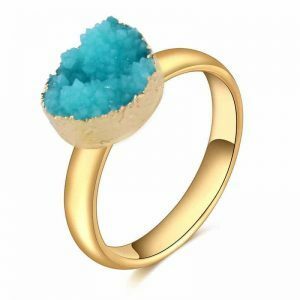 Do you have questions about the statement ring with blue stone? Send us a message. We love jewellery! 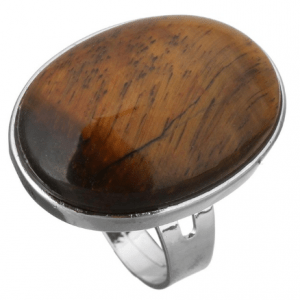 This silver statement ring has a brown stone. Mix and match it with other fabulous rings for a ring party. You need different jewelry for every occasion. This beautiful piece of jewelry can easily be combined with your everyday outfit. Wear it together with other silver jewelry. For example with a silver layered necklace or with nice stud earrings. Do you have questions about the silver statement ring with brown stone? Send us a message. Yay! How beautiful is this ring?! This statement ring has a beautiful green stone. Mix and match it with other beautiful rings for a ring party. Combine it with other silver jewelry. For example, with a long necklace or with nice hoop earrings. Your outfit is really complete after you wear a beautiful piece of jewelry. 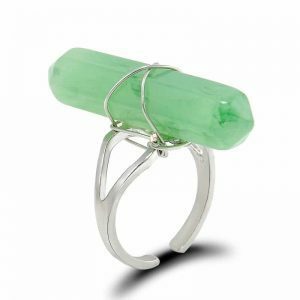 Do you have questions about this big statement ring with green stone? Send us a message. Decorate your finger with this beauty! This statement ring has a beautiful black stone. Mix and match it with lovely rings with other beautiful rings for a ring party. Combine it with other silver jewelry. For example with a stylish layered necklace or with a nice bracelet. 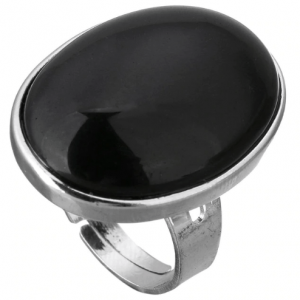 Do you have questions about this statement ring with large black stone? Feel free to send us a message. Your outfit is only complete with a beautiful statement ring !. 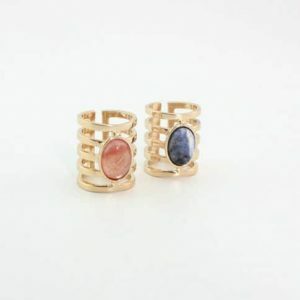 This nice statement ring has a blue natural stone. Mix and match it with other lovely rings for a ring party! Combine it with silver jewelry. For example with a nice long necklace or with a nice bracelet. 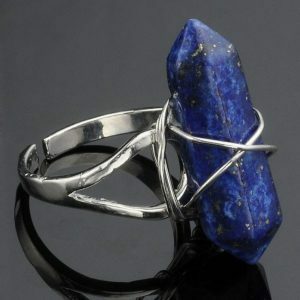 Do you have questions about this statement ring with blue (lapis lazuli) stone? please send us a message. The statement ring or cocktail ring is the perfect piece of jewelry for a party or a night out. You should definitely have a beautiful statement ring with diamond stones, natural stones or pearls. Silver, gold or rose gold choose your favorite color. Are you looking for a statement ring for a festival? 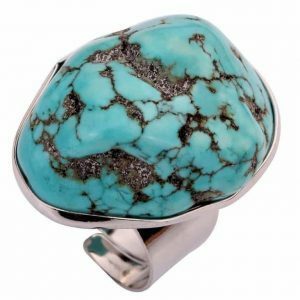 Then you can go for a nice big ring with turquoise colored gemstone. With many jewelry we see the marble stone. We have therefore also added marble statement rings to our collection. 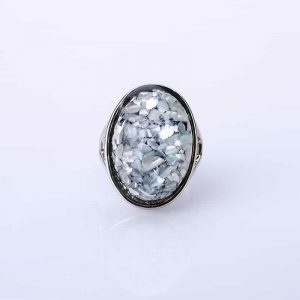 Are you looking for a ring with stone that will take your outfit to the next level? then you are at the right place. We have beautiful rings with different colored stones. 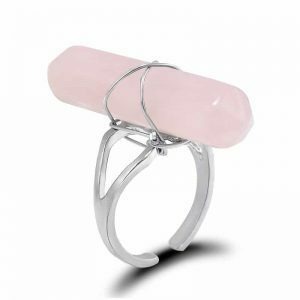 With a pink outfit you can wear our ring with pink stone. Are you going for an all black outfit? then wear our ring with black stone. We have rings with black, white, pink, blue, green and purple stones. Do you want to create a boho vibe? Then it is best to go for one of our boho rings. We have big boho rings with different colors of stones, but also from different materials such as shells. Wear it with other boho jewelry to complete your look. How about a boho bracelet with coins? Or a boho bracelet with elephant design. Do you prefer minimalist rings? then mix and match our subtle, fine rings with each other for a ring party. Or wear your statement ring together with a few minimalist rings. 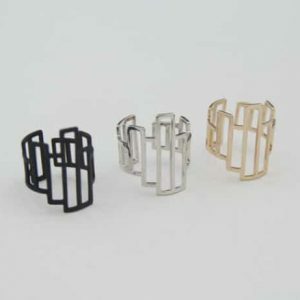 We have minimalist rings with a modern design. But also playful rings with fun designs. The classic rings with heart, star and moon design also belong to our collection. The great thing about minimalist jewelry is that you can easily combine it with other fun jewelry. Our layered necklaces are also very popular. They are available in 2, 3, 4 and multiple chains. Don’t you wear clothes with striking designs? then you can wear your statement ring together with a statement necklace or bracelet. For example a crystal ring with a statement necklace that is full with shining crystal stones. Or choose a stylish Y Necklace. For a cool touch you can choose one of our choker necklaces that fits your new statement ring. Complete your subtle ring with a nice fine bracelet or with a cuff / bangle bracelet. They are available in the colors silver, gold, and rose gold. Beautiful jewelry should not be missing in your jewelry collection. We have various earrings in our collection. We add regular new earrings to our webshop. We have beautiful earrings with nice pendants in stock. For example, creoles with a rose, elephant, turtle, heart, star, lightning and coin pendant. They would look great with your new statement ring. If you prefer your earrings not to stand out too much, choose minimalist earrings. We have various subtle earrings in geometric designs that will look great with your statement rings. For a party or gala you can wear your statement ring together with statement earrings. They are available in the colors red, silver, green, black, purple, white, gold and silver. Do you want your statement ring to get all the attention? then wear it with a nice scrunchie. The scrunchies are very trendy at the moment! The scrunchie with leopard design is particularly popular. Do you have a question about one of our statement rings? please send us a message. Sign up for our newsletter and follow us on social media. This way you can stay informed about the latest jewelry and trends.